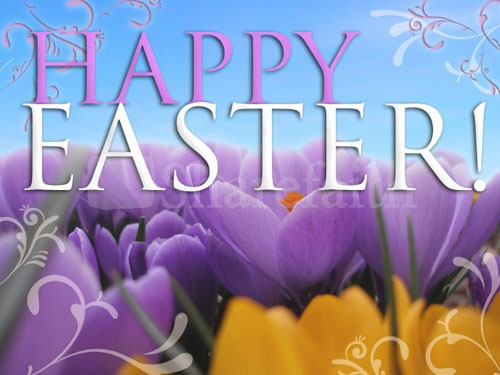 Happy Easter to all my friends and visitors. Well eveyone.. Kya had been very depressed for the past month after losing her big sister, Teka. Our vet told us that she needs a friend. 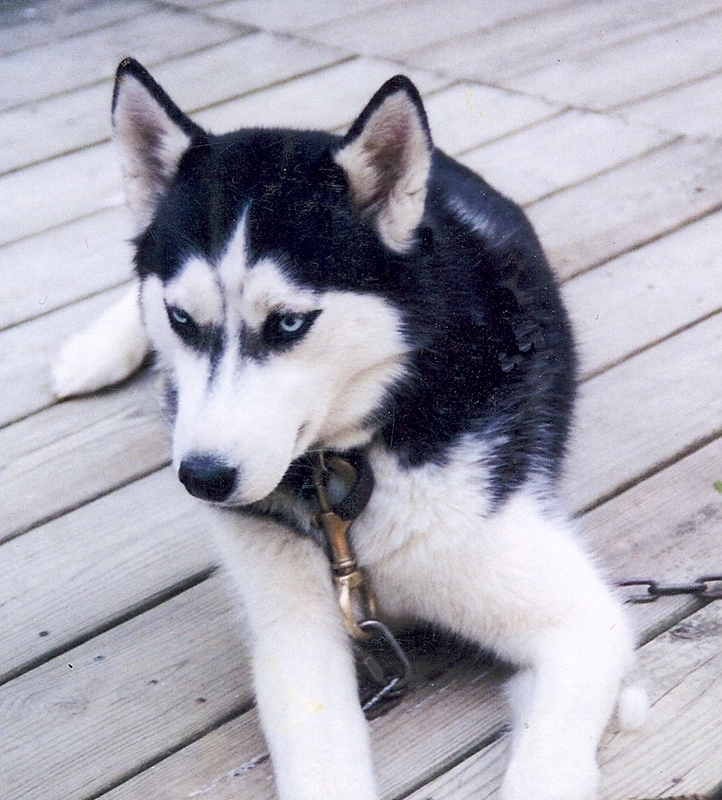 I am not ready for this but I went online to find husky rescue in PA. We fell in love with this beautiful boy named LOBO. We went to meet him after we were approved by the rescue. 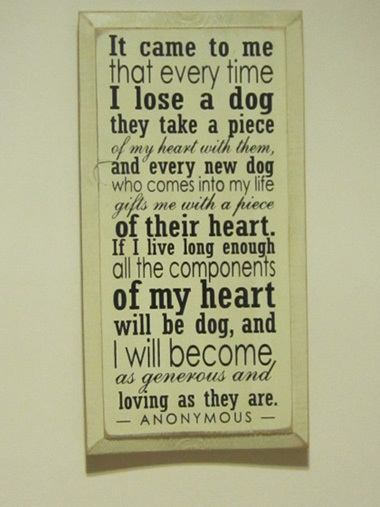 Heather will probably love this story for the wonderful person that you are fostering homeless dogs. 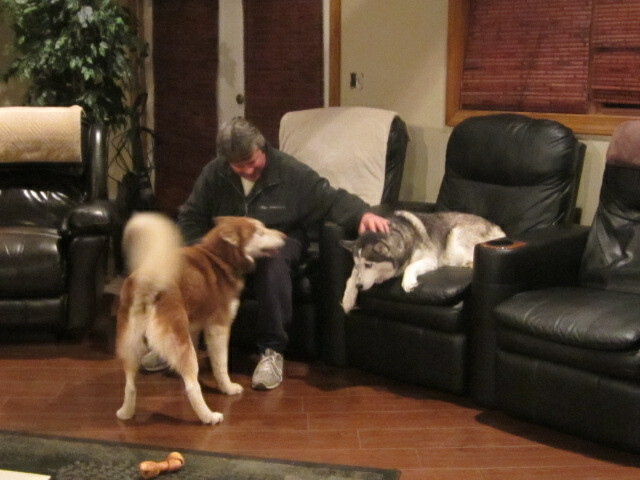 LOBO came to our home Thursday evening and we are keeping him. He is five years old and was abandoned by his family. He came to the rescue not understanding why he was there and very shy. The rescue gave him nothing but love..love..love.. and he came around. 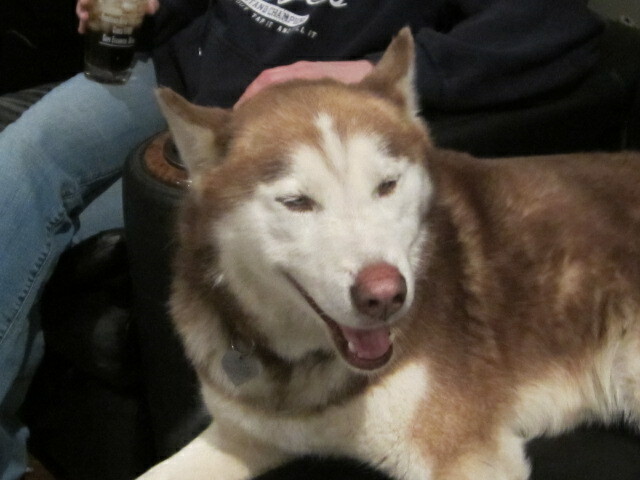 I have not seen my dog Kya so happy in weeks!! She loves him so much and he is so into her!! Now our home has two females and two males!! Mike is very happy too!! 🙂 I cannot turn him away. He needs a home and our baby needs a friend. I hope you enjoy these pics!! I have cried everyday since March 4th. I actually didn’t cry today. All my love to everyone who wrote in when our Teka died. I am sure that I will cry more, she was such an awesome dog. But I need this right now, he is totally awesome! And I know Teka would want Kya to have a friend for the remainder of her life. So this morning I put my face against the window to look outside. I’m always curious to see what happened overnight, like did the raccoons neatly turn over pieces of the lawn again, did the deer eat my flowers, or is there anything dead floating in the pool. I didn’t see much because directly in front of my eyeball was this humungous, hairy, wierd, I don’t know what. I tapped on the screen but he didn’t move. I thought he was dead. I still don’t know if he’s alive. He let me put a tape measure right next to him for this photo and still didn’t move, although I think he eyeballed me once. 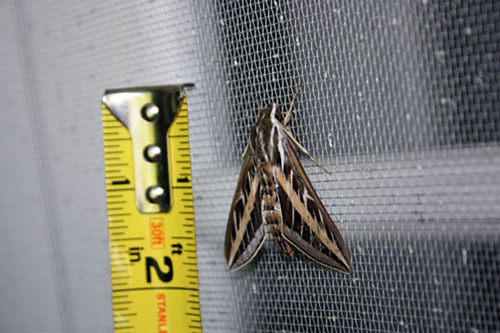 “Take your stupid picture and go away!” As moths go I’ve never seen one this big – almost two inches! Moths? Maybe it’s a bird, or a flying gopher or something. I don’t know. That was hours ago and I checked and he’s still there. Dead? Playing dead? Waiting until I open the window so he can terrorize me in the house? He’s huge! I feel like if I tried to hit him with a fly swatter, he’s grab it and throw it back. What the heck is it??? So here’s what we know: They are also known as Hummingbird Moths. Their wing span can range from 2 to 8 inches. They pollinate flowers such as orchids, petunias and evening primroses while sucking their nectar with a proboscis (feeding tube) that exceeds 10 inches in some species. They like garden crops, especially apples and tomatoes (no kidding!). 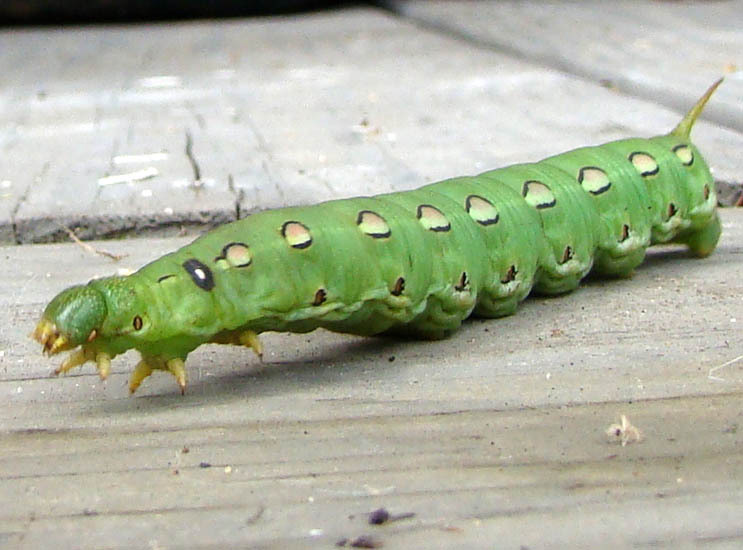 Larvae burrow into soil to go into chrysallis, where they remain for 2–3 weeks. They change into adult moths underground and then dig their way to the surface. I know I’m going to have bad dreams tonight! If you’re wondering what to eat for beautiful skin, here is a video I made showing which foods can really make a difference and give you beautiful, glowing skin. I always say, “Good skin care starts on the inside.” Of course the outside matters too, so always wear sunscreen (even on cloudy days), don’t smoke, and eat a healthy diet that includes my top ten foods to make you look fab! I ran some errands today and took a short cut down Rodeo Drive in Beverly Hills. I saw two Rolls Royces, a Bentley, two Ferraris, a chrome car, a Porsche racing car, and a very long, low, sleek yellow and black & shiny sports car (don’t know what that was!). I got out to window shop and everybody walking around was dressed to the nines! The right fashions, the right shoes, hair with the right highlights in just the right place. I need to dress better next time I go there. 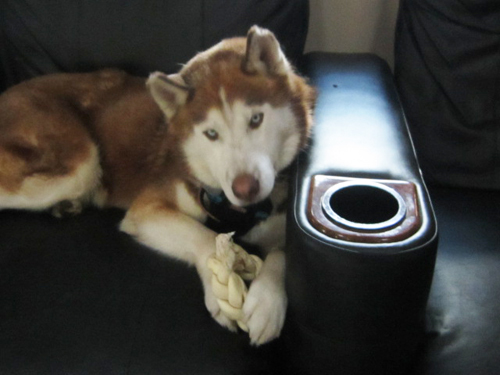 “Hey JJ and my blog friends, I just wanted to tell you that Teka is gone. She started suffering something horrible this past Saturday, March 2nd and she died today. I want to thank you all for your prayers and love when she was diagnosed back in August. Our hearts are so sad. Thanks again everyone for your love. What an incredible dog she was. We are lost.